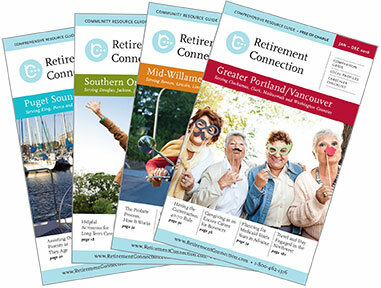 The new edition is hot off the press and hopefully you have already received your copies. Please let us know if you need more guides and how many you would like. We are honored once again to be the official resource guide for the Alzheimer's Association, Asante Hospitals, Mercy Hospital, and the Rogue Valley Council of Governments. 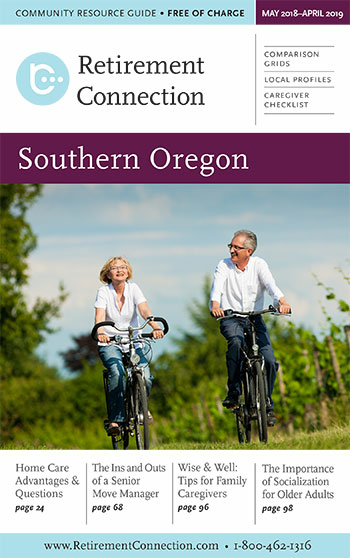 We hope you can join on May 17th at Edenvale Winery in Medford to celebrate the Retirement Connection Guide of Southern Oregon and May 24th in Roseburg! The Release Parties are a great way to network, connect, and meet new referral sources- don't miss out on the largest networking events of the year! Please RSVP and make sure to invite your referral sources and colleagues to join you. Thank you to all of our sponsors and to each of you that use the guide and website. We are now already starting on next year, and as a thank you for including us in your 2019 budget planning you save 10% for reserving your ad space in advance. Ad copy and billing are not needed until next year, this is simply to reserve best placement. Save the Date for June! 9:30 AM No May Douglas County meeting due to Roseburg After Party. Save the date for June!